With the spring equinox behind us signaling the start of a new astrological year, a sense of hope and anticipation is in the air as we await the colors and the warmth of the season. The winds of March are reflecting the energy and potential of the aspects in the night sky signifying a whirl wind ride of action. In this atmosphere, arrives the 6 Libra 52 Full Moon at 3:28 am PDT on March 27th 2013 telling us to grab on and to hold tight to the winds of change and transformation that is coming our way. As the energy and the excitement of a faster moving planet come in contact with a slower moving one, it helps to magnify the intensities of its potentials. This makes it vital not to miss the opportunities when they present themselves at this time, and when they do, hang on to it for dear life. With a group of planets and asteroids in, a stellium in Aries that indicate a concentrated and heightened level of focus in the beginning of a cycle. The need for the initiation of action and exploration to step into the unknown with hope and confidence, as one who has been there before, is crucial. The stellium is in opposition to the moon, creating a need to push and to pull, to make things happen and yet at the same time is the support that is needed when the going gets tough. The aspects are not just asking for action and change, but are subtly pointing to the need of transformation in the way we see things and the way we hope to accomplish anything. It is not telling us to throw everything out, but to rearrange it in a way that it will be more meaningful. To put it bluntly, the stars are telling us to get rid of the clutter and work with what is important. 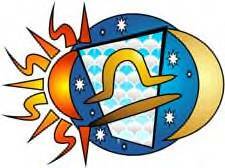 “The Sabian symbol for the Moon in 7th degrees of Libra and for the Sun in 7th degrees of Aires is taken from “The Sabian Symbols in Astrology by Marc Edmund Jones”, and what follows are my comments. Libra 7 A woman feeding chickens and protecting them from the hawks This is a symbol of the creative division of labor between the functions of man and nature, and of the dual constitution of the soul in its responsibilities of conservation on the one hand and of developments on the other. There is here every capacity for a control of events through a nurturing of the things which are desirable and a rejection of those which have no immediate value. The keyword is shrewdness. When positive, the degree is a high competence in administering the duties of normal experience and a very special skill in protecting the self’s real interests, and when negative, a complete personal ineptitude in the face of life’s everyday and recurrent complexities. Aries 7 A man successfully expressing himself in two realms at once This is a symbol of a creative division of labor within the self, such as distinguishes human kind from the lower orders of life and enables any individual to participate in the experience of many interpenetrating realms of reality. There is capacity here for a complete control of events by shifting from one to another focus of emphasis whenever it proves convenient or expedient. The keyword is proficiency. When positive, the degree is unlimited versatility and a special gift for divorcing the things of issue from whatever lacks immediate pertinence, and when negative, a tendency to defeat all self-competence in an unintelligent scattering of interest. This symbol is speaking to us to keep things in focus and in perspective in order to maintain the proper balance between opposing forces, thoughts and ideas. To see each thing in its light in order to protect and nourish the weak and at the same time preserve the position of the strong. The key here is the balancing act in using one’s good judgment, one’s vigilance, one’s alertness and one’s awareness to achieve what one is aiming for. It is also telling us of our versatility in functioning competently in more then one area of expertise. As this Full Moon approaches we need to remind ourselves of our assets and liabilities and to begin to work with them to be ready for the whirl wind of change and transformation. By being prepare and ready to take advantage of the opportunities, the changes, the transformations, we will be able to grab on and to allow them to become realities in our lives. The darkness and coldness of the approaching winter seems to be only a few days away as the visions and memories of the last harvest are almost completely gone. During this period the early settlers with the limitation the weather had on their ability to keep enough provision to last through the wintry weather needed to hunt and to process their food to last them until the spring begins to unfold. 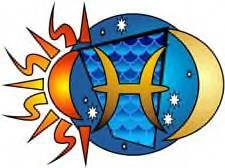 As serious preparation to provide for the coming months was by hunting game, the 6 Taurus 48 Hunter’s Full Moon makes its appearance at 12:50 pm PDT on October 29th 2012 in opposition to the Sun conjunct Saturn in Scorpio. Emphasizing and depicting a reckoning of some sort is at hand. Reckoning as defined by the American Heritage Dictionary as follow “A settlement of accounts: a day of reckoning”. Saturn in Scorpio is associated with responsibility, restitution, reconciliation and to take an assessment of any situation. This moon phase is spotlighting and forcing us to confront and to account for our fears, to account for our habits, to account for our limitations and is asking us to address it or let it go. “The Sabian symbol for the Moon in 7th degrees of Taurus and for the Sun in 7th degrees of Scorpio is taken from “The Sabian Symbols in Astrology by Marc Edmund Jones”, and what follows are my comments. Taurus 7 A woman of Samaria This is a symbol of the unimpeachable divinity which characterizes man’s nature at root, represented here by his instinct for higher things as he yet plumbs all experience to the depths and welcomes life almost indiscriminately into the uttermost inner reaches of his being. Implicit in the reversed symbolism of this famous amoral figure of Biblical times is an indomitability of striving for real and gratifying self-fulfillments. The keyword is awakening. When positive, the degree is absolute and wholly impersonal self-giving in the hope of an honest self-realization, and when negative, a debasing and carefree dissoluteness accepted in compensation for the unattained and more enduring satisfactions. Scorpio 7 Deep-sea divers this is a symbol of the absolute integrity of man’s nature at root, dramatized here by his insatiable determination to plumb all experience to the depths and to uncover the illimitable reaches of potentiality in his world of everyday relationships. Implicit in the symbolism is a challenge to self-refinement through a subjection of the skills of self to every possible test or opportunity for a further perfection. Self-fulfillment is through an ever-increasing interest in day-by-day problems. The keyword is involvement. When positive, the degree is a persistent penetration to the very vital core of human motive and make-up, and when negative, fundamentally unsocial instincts and a resort to wholly absurd escapism. This symbol speaks to us of the sacredness of man ever thirsting for spiritual nourishment and the enlightenment of seeking fellowship with kindred spirits. It speaks to us of reaching out and demonstrating and living our beliefs and being an example to others in what we stand for. The accent is on being of service and putting aside our fears, our limitations, and our prejudices and in giving our assistance and support to others in need, whether they share the same convictions or not. It is also asking us to take an account of our spiritual beliefs and our concepts of what is truth, and if it is hindering us from addresing our values? Is our ability to assist and to listen to others dependent on whether they share the same views as us? At the same time the symbol speaks to us of the need to investigate, to explore and to unravel any mystery to its core value for our self improvement and growth. Curiosity and persistence gives the momentum to scrutinize things out before acting upon it. As the Taurus Full Moon makes its presence felt, let us remind ourselves that the time of reckoning is coming from within. That we are our own judge and jury, and the outcome is in our hands. This full moon is not the final forerunner of difficult aspects in the night sky for the year, announcing that an evolution or more likely a revolution of sorts is in the atmosphere and is about to explode and manifest itself into reality. We can no longer deny its existence as it unfolds before our very eyes and presence. With the aspects of action and movement in place in the zodiac, a sense that we can no longer turn back, but need to go forward is imminent. The pangs and pains of change is evident as the 7 Aries 22 Full Moon on September 29th 2012 at 8:20 pm PDT is making its energies felt, as it is reminding us that we are moving into the abyss of no return, but onward to the future. We need to move forward with faith and trust that through the darkness, we will finally reach the light. The Universe in all its wisdom is showing us that we need not fear the difficulties and tribulations we are about to experience. But to see it as stepping stones, to new possibilities and the potentials for success we have not thought about or had the foresight or the vision to recognize. 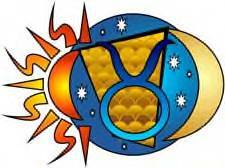 “The Sabian symbol for the Moon in 8th degrees of Aires and for the Sun in 8th degrees of Libra is taken from “The Sabian Symbols in Astrology by Marc Edmund Jones”, and what follows are my comments. Aries 8 A large hat with streamers flying, facing east This is a symbol of native creativity, or the fundamentally phallic stirrings of man as these keep him forever responsive for better or worse to the general potentialities of an everyday being, and as they also enable him to realize and utilize the ever-emerging novelties and variations of human relationships. Implicit here is an unconditioned and complete co-operation with every immediate trend of events, whether consciously or otherwise. The keyword is excitation. When positive, the degree is continual self-orientation to the nascent potentialities of all life and experience, and when negative, a tendency to idle posing or an empty pretense of good will and interest. Libra 8 A blazing fireplace in a deserted home This is a symbol of native reality, or of the basic law of the cosmos whereby all things tend to continue steadily in their accustomed function. Implicit here is the burning desire or capacity for passion which establishes man’s loyalty to each object of his self-projection and instruments his more consistent self-orientation through each phase of personal responsibility to the world in which he finds himself. The keyword is guardianship. When positive, the degree is an exceptional gift for enlisting both men and the natural forces of life in the service of self and its dominating vision, and when negative, a witless dismissal of all affairs to their own devices. This symbol speaks to us of anyone proudly presenting them self with dignity and presence as one with a purpose allowing the winds of change and clarity to define their direction and to embrace their stature. Excitement and anticipation is always associated with change, as it is an adventure into the unknown, as we wait patiently, watching and expecting the unexpected results. The emphasis here is faith, trust, hope, loyalty, invisible sustainment and the conviction that our goals are achievable through our passion and determination of will. Our greatest assets at the moment is the refusal to give up hope when all seems hopeless and our ability to change course or improvise, if need be. It is warning us from hanging on to what worked in the past and to release the negative thoughts which is holding us back from our own progress. This Full Moon is reminding us that we are moving into the abyss of no return, but onward to new adventures and potentials that are beyond our wildest dreams.